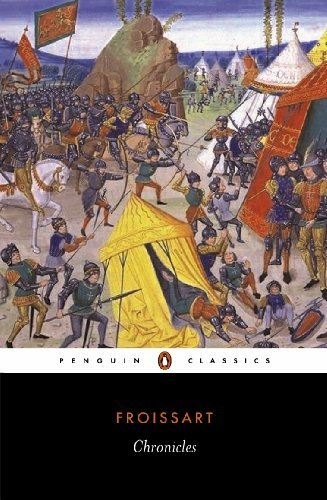 The Chronicles of Froissart (1337-1410) are one of the greatest contemporary records of fourteenth-century England and France. Depicting the great age of Anglo-French rivalry from the deposition of Edward II to the downfall of Richard II, Froissart powerfully portrays the deeds of knights in battle at Sluys, Crecy, Calais and Poitiers during the Hundred Years War. Yet they are only part of this vigorous portrait of medieval life, which also vividly describes the Peasants' Revolt, trading activities and diplomacy against a backdrop of degenerate nobility. Written with the same sense of curiosity about character and customs that underlies the works of Froissart's contemporary, Chaucer, the Chronicles are a magnificent evocation of the age of chivalry. Jean Froissart was born in Valenciennes (c.1337) and came to England in 1361 where he joined the entourage of Edward III's Queen. While in England he travelled to Scotland and the Welsh Marshes and to the Continent seveal times, finally settling in the Netherlands on the death of the Queen. He finally took holy orders, before returning to England in the court of Richard II, whose downfall he recorded in 1399. His first book of the Chroniques was published in three versions, the second book was completed by 1388 and the third in 1390. He was still working on the fourth when he died c.1410. Geoffrey Brereton edited and translated several modern dramatists including Claudel, Sartre and Adamov, and was a Fellow of the Royal Society of Literature. He died in 1979.